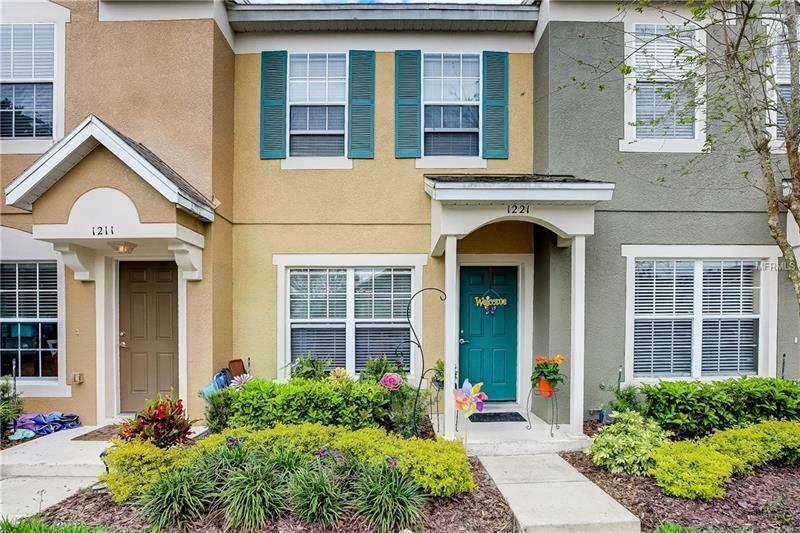 Conveniently located, this Regency Oaks townhome is surrounded by many of life's conveniences but without all the noise. This quiet, gated community is bordered by the accessible FL-417 (Central FL GreeneWay) and several shopping centers and dining establishments. The Seminole Towne Center and an I-4 interchange are also nearby. On days you want to stay home, this 2-story, 2 bedroom, 2.5 bath property will accommodate you just fine. Upstairs, you'll find 2 master bedrooms with private full bathrooms in each, 1 room with dual closets and 1 with a traditional wide closet. Downstairs holds all of the common areas to include a breakfast nook, kitchen, dining area and living room, along with a half bath and a screen-enclosed patio with storage closet. The living spaces are well-lit and the layout provides separation between personal space and areas for gathering/entertaining. Regency Oaks HOA offers residents a community pool, and the HOA fee also covers water and sewer. Set in the center of the community and surrounded by everything you may need, this townhome remains a calm beacon to guide you home each day. Schedule a tour and come see your new home!